Football season is upon us. To achieve your personal best as a football player this season, add some core strength to your football training. Building your core helps you move faster, reduces the possibility of injury and optimizes every action you take on the field. Today’s football players are more muscular, faster, and stronger than they have ever been before. Traditionally, players placed their efforts into packing on the extra pounds – in terms of muscular weight – in the off season. Now, football players are going a different direction. They are shifting to optimizing their ability to perform explosive moves and improve their overall level of athleticism by building up their core. A full season of football includes a total of 16 games. As a player, you must have the capability of reporting in for each game, in optimal health. You must also remain free from injuries during those 16 games. In the past, you have likely trained so hard that the training, alone, wore on your body. Now, it is all about training in a smarter way, not harder. The wisest and most productive means of doing this is to place an emphasis on core training. 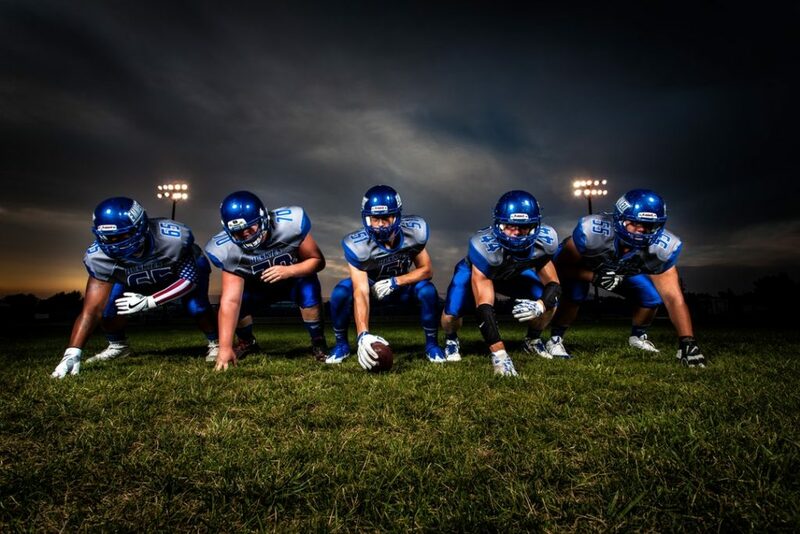 This will allow you to get up to speed, perform optimally each time that you are on the field, and will allow you to outlast and outwit your competitors. Most football players place so much emphasis on their on-field abilities that they have not taken the time to learn about core strength in their football training, and the anatomical value of it on their game. The “core” is referencing all of the muscles that are situated around the trunk of the body and the pelvic region. These include those that are in the abdomen, the lower back, the hip region, as well as the diaphragm. The body’s power and its overall strength stem from the core of the body. By exercising the core and building it up, you can improve your stability and your overall balance on the field. Your core will allow you to perform the on-field actions in a more efficient manner, without risking experiencing an injury. When playing football this season, you want to engage in moves that are high caliber. You want to change directions quickly and with ease. You want to be explosive, in terms of power. The core allows you to generate that massive force that you desire to exhibit on the field during gameplay. It is actually the foundation for all of those fantastic moves that you envision yourself performing out on the field. Believe it or not, all of the primary muscles within your body are dependent upon the muscles that are part of the core of your body. If your core is strong, the primary muscles will be strong. They will be able to withstand a large amount of stress, will exhibit a massive amount of strength, and will have the capability of having a lot of endurance. If your core is weak, your primary muscles will also be weak. You will not be able to sustain yourself on the field, nor will you have a positive impact on your team’s overall performance. The last thing you want is to be the culprit of a loss. By strengthening your core, you can be the reason for the win! Football is a harsh sport that includes a large amount of violence. While entertaining and enjoyable, injuries are common. You may easily become injured while training or while playing. It can happen at anytime and no one is immune; however, you can drastically reduce the possibility for an injury occurring by strengthening your core. The muscles that help in the support of your spine are part of your body’s core. If you strengthen these, you will not suffer from as many injuries. If you do not, these muscles will be weak and even turning too quickly can knock you out for the entire season! Balance is critical when it comes to playing football. You hear it from your coach all of the time. The constant reminder to get up off of the ground, make a play, and move. In order to succeed in these activities, you absolutely need to have optimal balance. One slip, one fall…it could be the end of the game, and the end of your time on the field. When you build up the core of the body, you will also be building up your balance. You cannot perform any moves by lying on the ground. If you are ready to optimize your game play, we here at Back to Motion can help you! We offer a comprehensive core training program specially designed for athletes just like you! Simply contact us today for more information.